Today's post is on Leon's room. 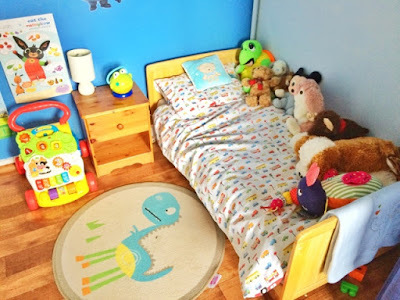 Leon's room is a double room so there is LOADS of space for toys, running around and playing. 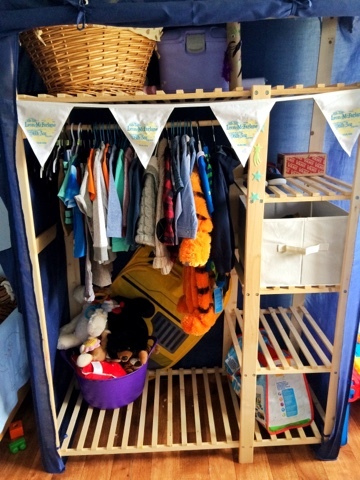 The top shelf is purely for storing things, The wicker basket has his little castle tent in it, it's easy for me to get into to pop it out and pop it up for him. His crafts box is also on that shelf, up high so he cant get into it and eat all the glue! The shelves down the right side are for clothes and shoes. The first one (the one at the top) is for his shoes. It looks empty here because all his shoes haven't been moved up here yet, but this boy has more shoes than me! its ridiculous! The second shelf has a canvas slide in box where I keep his Jeans. The third shelf is empty at the moment but I'm sure we will find something to keep there. The bottom shelf that goes right along is for keeping his teddy barrel and his bag of mega blocks. It's generally for keeping toys. This is Leon's bed area. This is where Leon sleeps, has all his little dreams and flops about at night trying to find a comfy position to sleep in! His bedding is very fitting to his interests.... CARS, DIGGERS, TRUCKS, BUSES and all kind of vehicles. ﻿There are select teddies that are housed on top of his bed, only the special ones that he likes get to stay there. He also has a cute little pillow that says "Baby Boy" on it. Then there is his side table that has a little lamp on it and his frog night light. On the side table is a little drawer that is his secret drawer. He keeps all sorts in it. 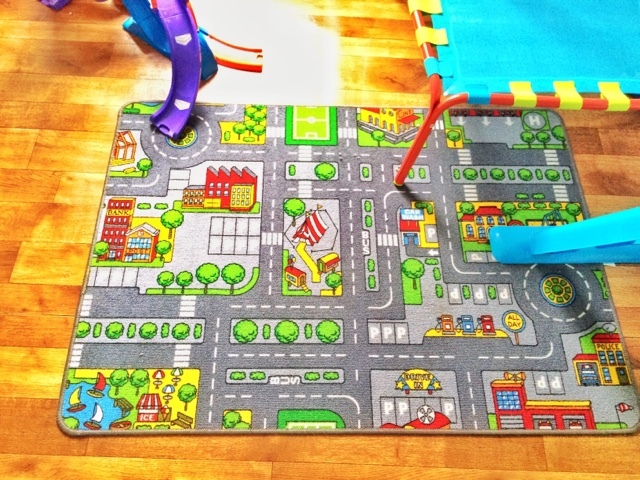 Then there is a walker that he LOVES to pieces, And he has a dino rug that he loves to jump about on. Below is a picture that shows His wall at his bed area. 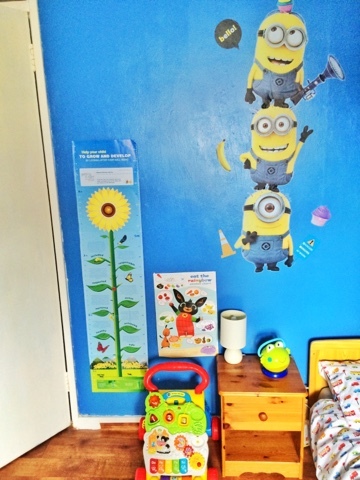 On the wall Leon has his minion stickers that his Great Grandpa sent him for Christmas, He also has a food poster thing that he got in his Bing magazine. He absolutely loves Bing so I thought it very fitting to have this on his wall. Finally is his growth Chart where we can keep track of his height. 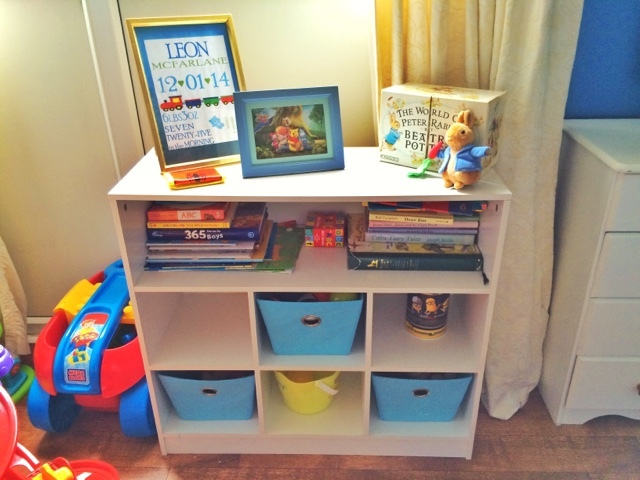 Library Area and toy drawers. This little area has his many many books that he is just not interested in yet! Key word being Yet as I WILL get him interested in books. He has his little Betrix potter library on top of the drawers along with his peter rabbit teddy. There is a personalised photo that we got given when Leon was just born that has his name, date of birth, weight etc... on it. He also has a little 3D photo from Winnie the poo. The canvas drawers are filled with his wee toys that he plays with now and then... I really need to clean them out before Christmas! This is Leon's toy corner. 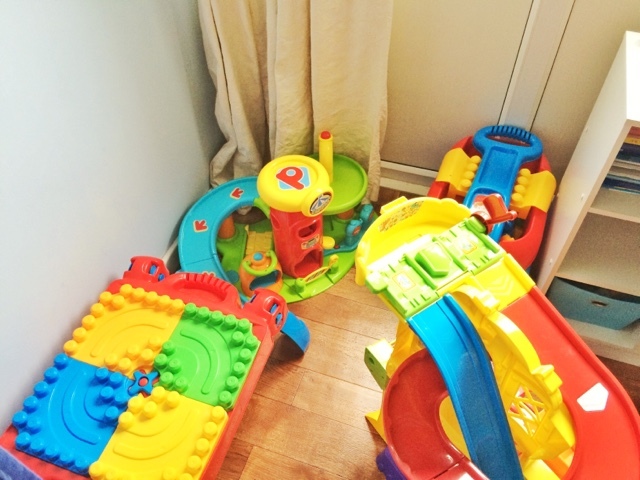 He has a mega blocks activity table, A car park, a mega blocks trailer and his 3ft vtech racers thing. Leon spends hours here, playing with all his cars and mega blocks. It's his little piece of heaven. 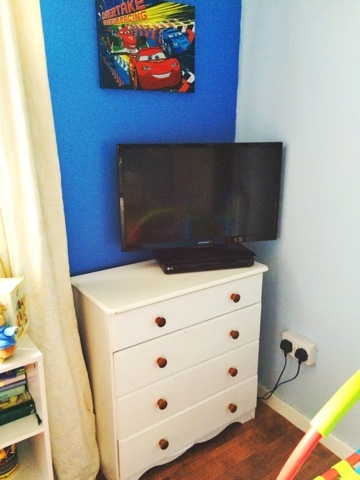 This is his little corner where his TV and dvd player are housed. They sit on top of his chest of drawers where his tops, vests and pjs are kept. The top drawer how ever is filled with Disney Dvds.... we kind of own every single one! but that's another post all in itself! Then his bottom drawer is for all his swimming stuff. On one of Leon's walls there is two canvases that I made (I am pretty proud of that fact!!) 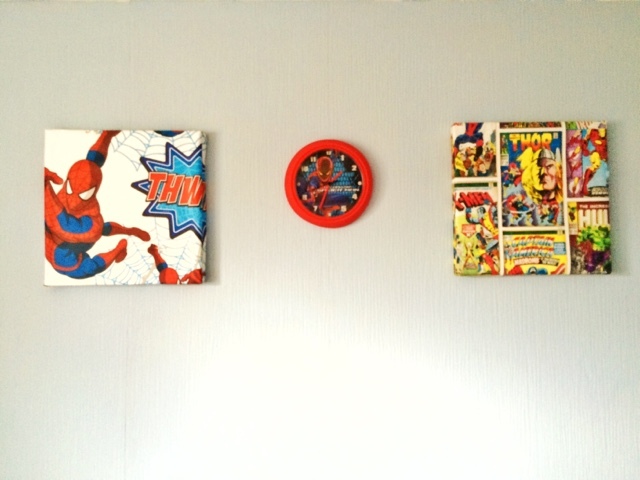 and his spiderman clock in the middle that my gran bought him. Leon just loves pointing at his clock and shouting "ock ock!!" its pretty cute to be honest. My initial thoughts for putting stuff on this wall was to make the room look cosy and not bare. 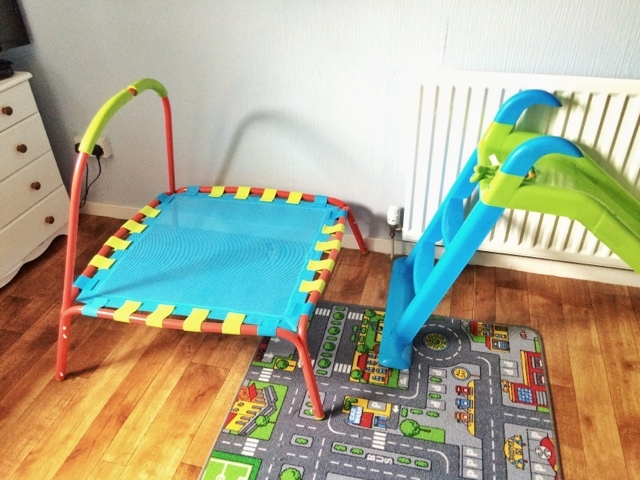 Because of the weather right now we have to keep his garden toys inside which are his trampoline and slide. He has more garden toys but they are small enough for the cupboard. 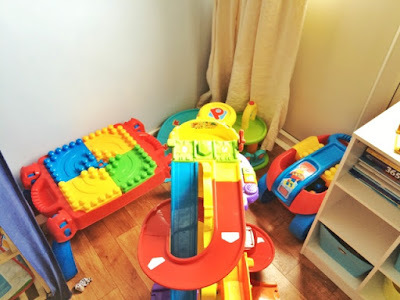 So because of this we keep them in his room, he doesn't mind thought because this means he gets to play with them all the time! He is forever bouncing around on his trampoline. The boy really likes it. 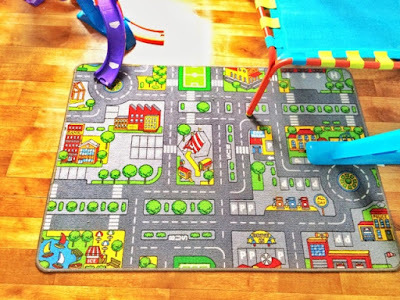 This is Leon's play rug. He always whizzes around it with his little cars and it's just super cute! Definitely a good buy from my gran. It's a great size and gets used often. We positioned it near enough in the center of his room. 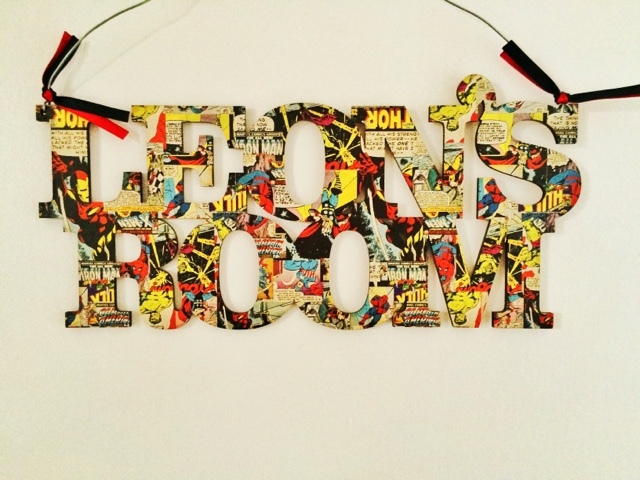 That is one cool room for one cool dude! I love the canvases they are awesome!